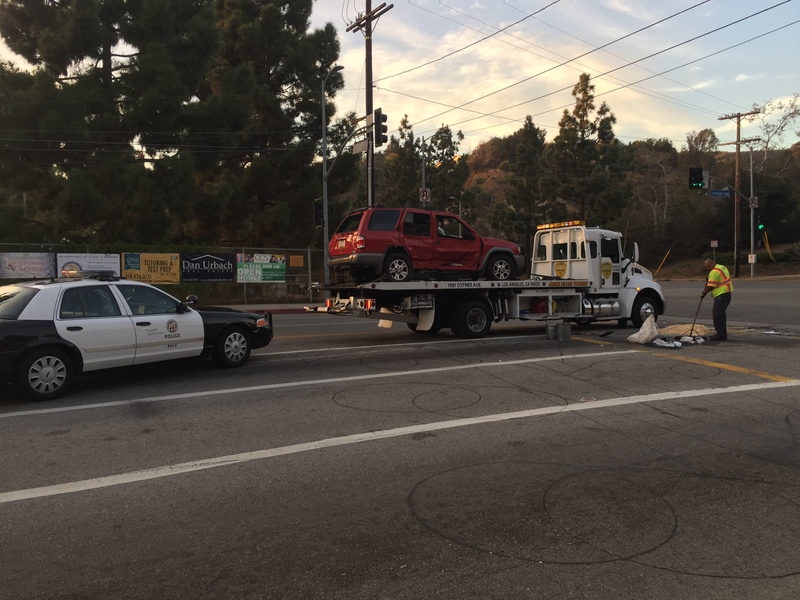 Four teenagers were injured in a rollover accident at Sunset Boulevard and Temescal Canyon Road on Tuesday afternoon, Nov. 15. According to police, they were transported to an area hospital. The accident occurred near 3:30 p.m. and no further information is available. It’s unknown if the teenagers were high school students. Rollover accident on Temescal Canyon Road on Nov. 15, 2016.